As we were thinking of ideas, we were greatly inspired by Chamath Palihapitiya's words: "Build something you need". We didn't want to anticipate what others may have wanted. We wanted something that we could immediately benefit from. As Californians, we froze the moment we stepped off the bus – there had to be a solution. What did we need? A way to warm and heat ourselves. What did we make? 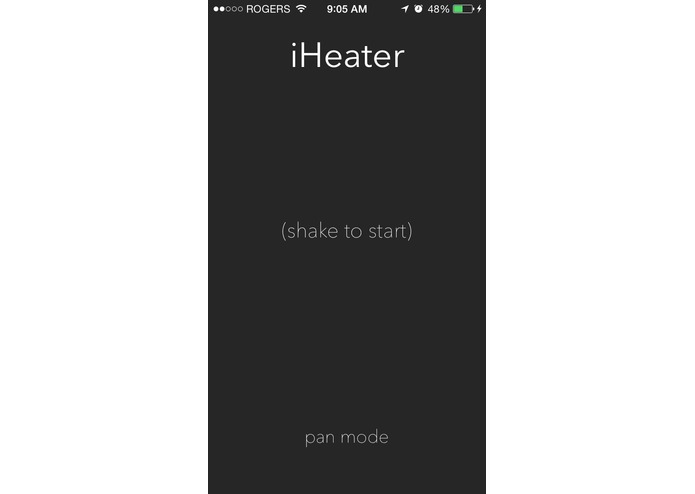 Yes, it actually turns your phone into a handwarmer. Yes, it does destroy your CPU and battery. Yes, it even turns into a group radial heater and spins in a circle by itself. 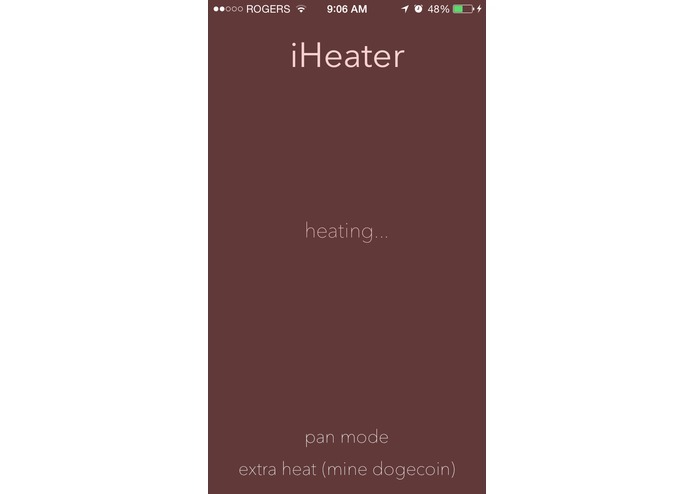 And yes, you can activate "super heating mode", which compensates for your CPU/battery damage/loss by mining you some Dogecoin. That's right. This is not a joke, people. 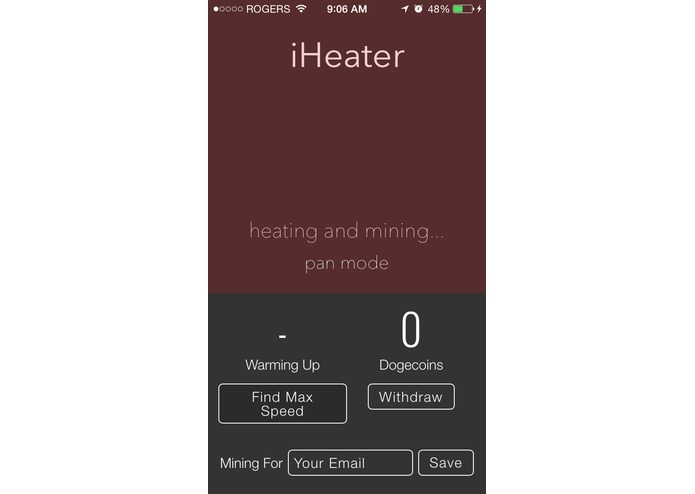 This is #iHeater.